It started too early on a Saturday morning. Like most I-Club activities. Early morning at the Hauptbahnoff. 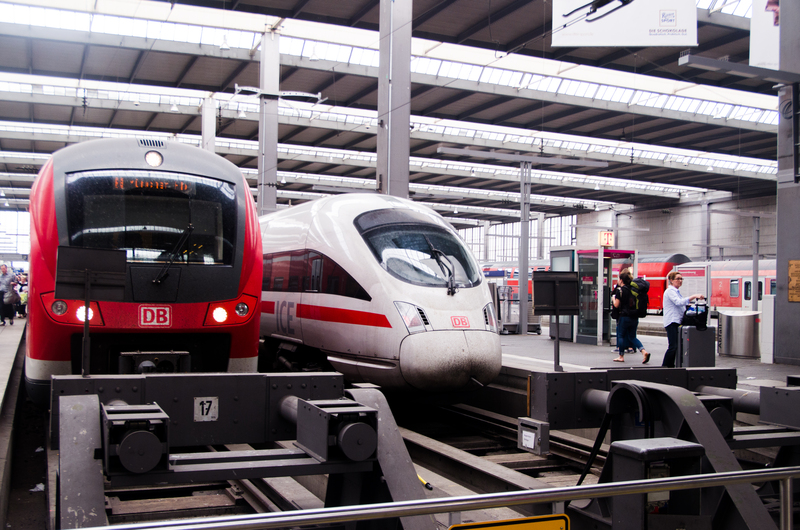 We were supposed to visit Ulm, a city located to the West of Munich, halfway on the road to Stuttgart. Directly on the river Danube, it is known as a tiny scenic place. 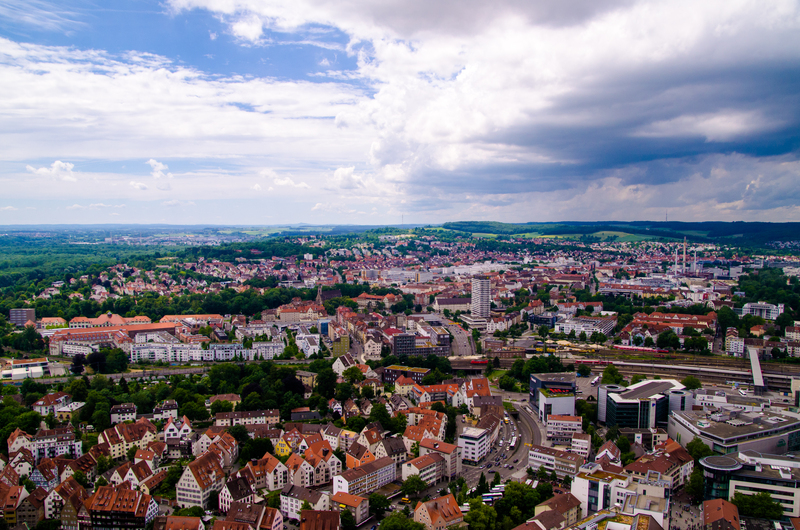 Today Ulm is a tiny economic center in Baden-Württemberg, a bit short of 150 000 souls, that is known internationally for two things. Albert Einstein and the church with the tallest tower in the world. Sorry I believe the proper architectural term is “Steeple” like steep & needle. Aside from that….ugh not much. Just playing Uno in the train and climbing the stairs to a very tall church. 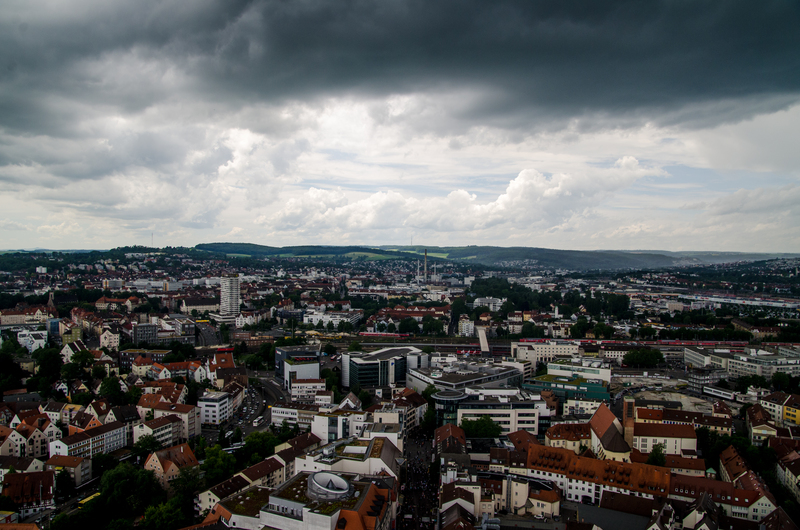 But in the end, compared to many German cities, Ulm did not feel like it had too much tourist interest. Ulm was founded around the year 850. 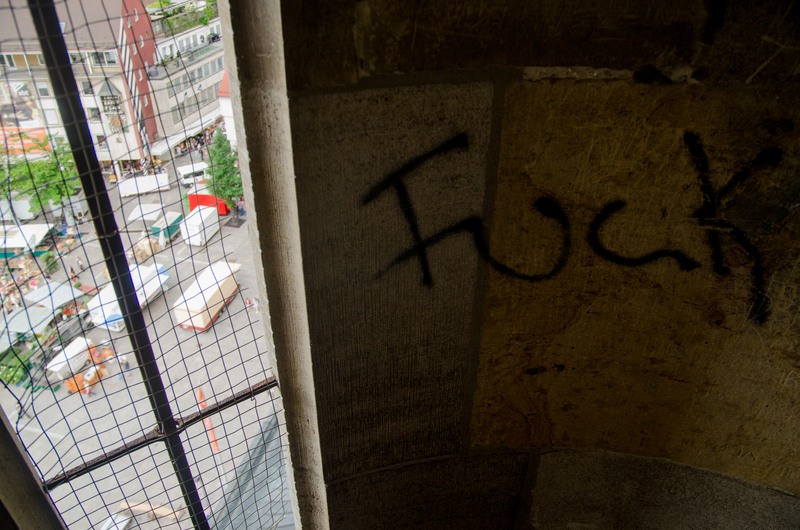 Making it, in the German tradition, a very old city. It is also a Stadtkreis; it’s own city district. 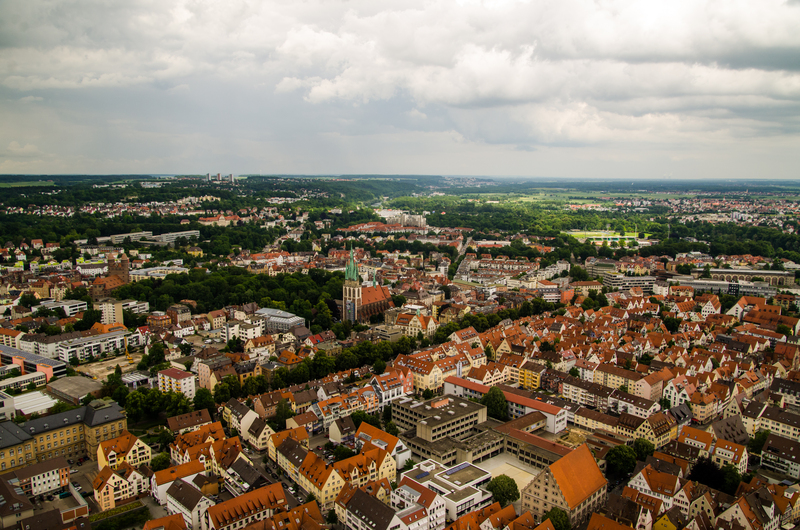 However, traces of settlements as old as 5000 B.C were found in the Ulm area. Again, Old. 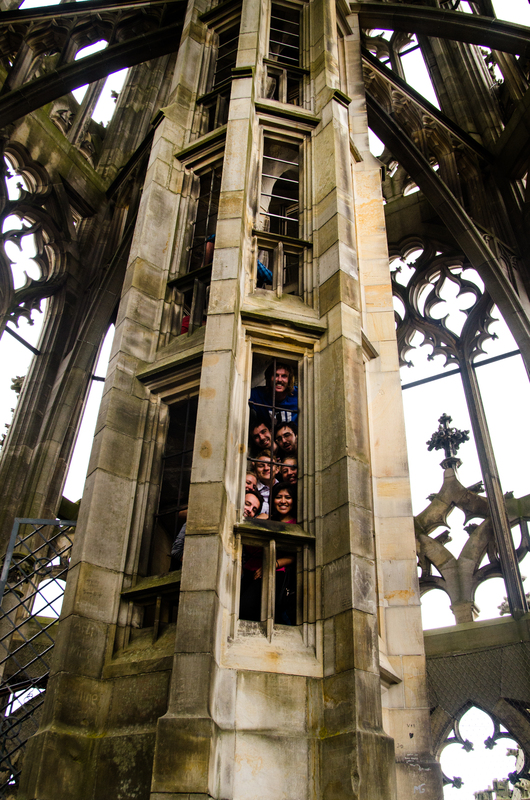 The main attraction was getting on top of the 768 steps carved in stone, making it to the top of the Ulmer Münster. 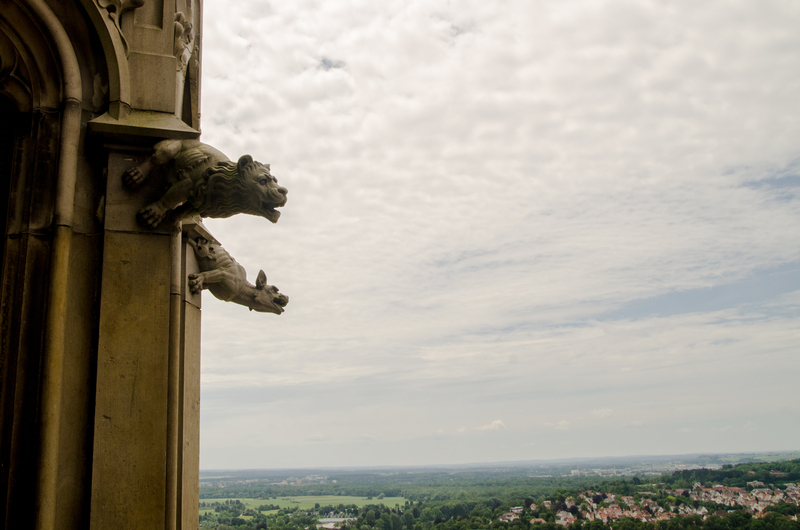 Not being to keen on heights, it wasn’t pleasant for me at times to be stuck in a tube made of stone, some 400 feet in the air with nothing but wind. Do not look down, keep going higher. 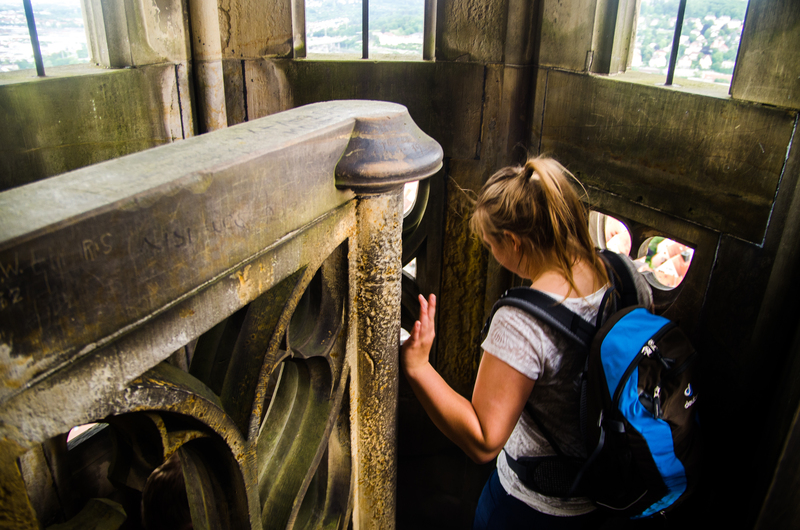 On the way up, the towers would get thinner, surrounded by beautiful arches. The last steps towards what they call “the third gallery”. The view, however, was worth the sacrifice of our leg muscles. And within minutes the sky covered itself in a classic Bavarian way. With nicer weather it is possible to see the alps on the horizon. 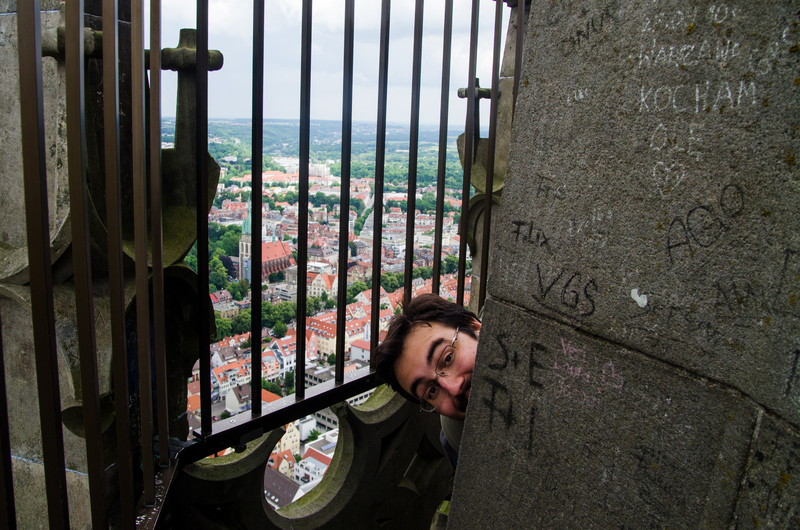 There is something about me not trusting the “tallest structure built before the 20th century” on the way back down. . . 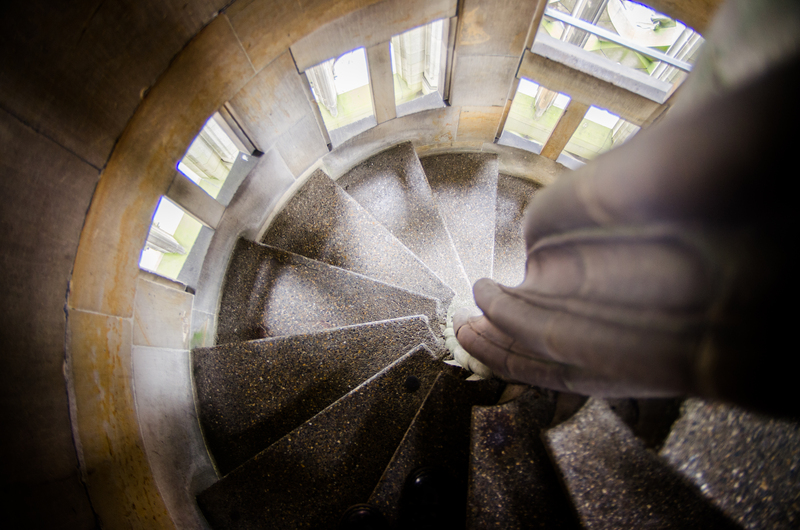 They say from now on, it’s a downward spiral… ha-ha. Not. Artists painting modern art resuming the struggles of our epoch, on the wall of the beautiful monument. 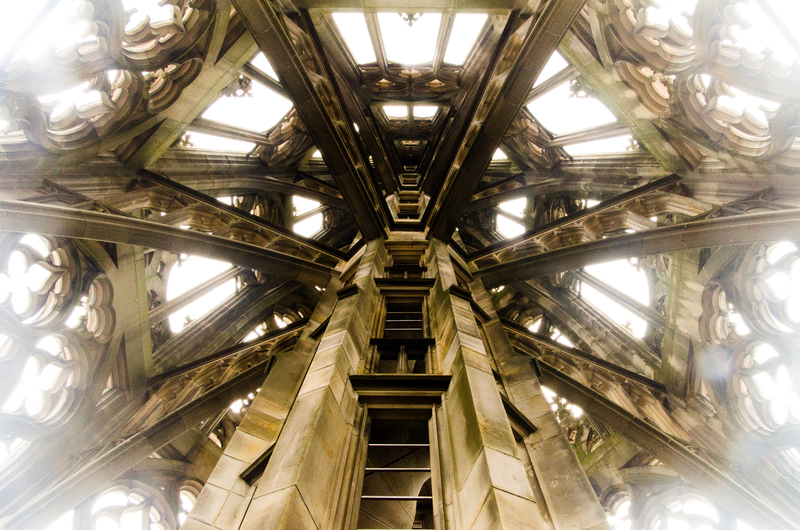 Definitely something to climb in the tallest man made structure begun in the Gothic era. Especially when this structure is called “The Minister”. 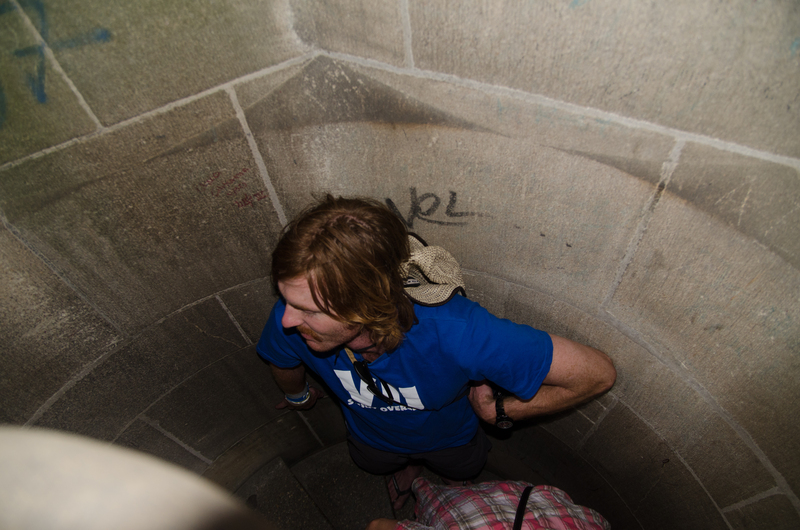 Trip ended with a bit of Ulm wander, and of course that involves Luke barefooting it at one point or another. Back on the train for some Uno. . .